Chelsea are showing strong interest in Pablo Sarabia. According to the football transfer rumours in British media, Chelsea are eyeing move for Sevilla midfielder Pablo Sarabia. The Spain international joined Sevilla from Getafe for a fee in the region of 1 million euros in July 2016. His contract expires in the summer of 2020. This season, Sarabia has scored 17 goals and provided 9 assists in 36 appearances for Sevilla. Pablo Sarabia has represented Spain at Under-16, Under-17, Under-18, Under-19, Under-20 and Under-21 level, winning 74 caps and scoring 19 goals. The report claims that Chelsea manager has extensively scouted Sarabia and is considering a move for the midfielder. Chelsea are desperate to make an impact in the summer transfer window. 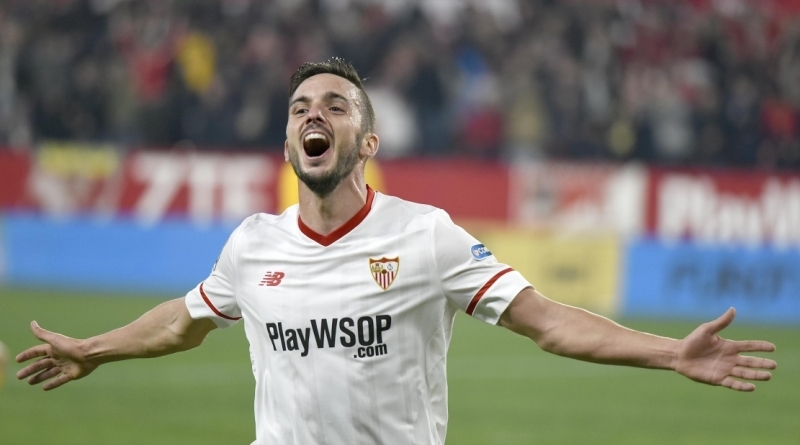 Pablo Sarabia would provide a good variety to Chelsea’s midfield. If Chelsea are genuinely interested, a deal would not be impossible to complete. It will be interesting to see what happens when Chelsea come calling for Pablo Sarabia this summer.